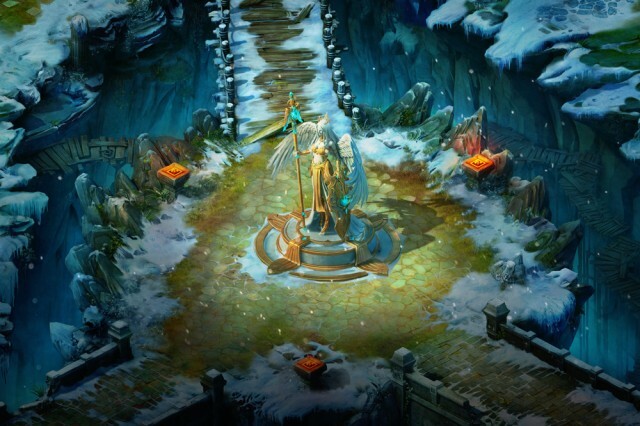 On the border of Sapphire stands an Angel Statue that possesses the power to seal dark creatures in the underworld. However, when Dora tried to summon the Titan, the resulting Great Rift allowed some of these monsters to escape from their prison. They are now attempting to destroy the Angel Statue and free their diabolical master, Hades. You are the chosen warriors that must protect Sapphire from a great calamity. Are you prepared to face this new challenge? 1. 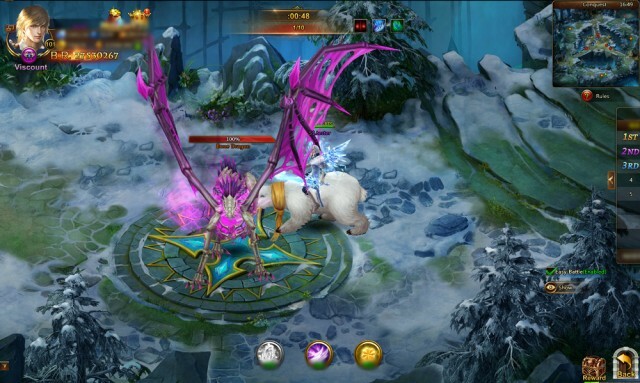 Gauntlet is a new Guild game mode that is similar to Tower Defense games. 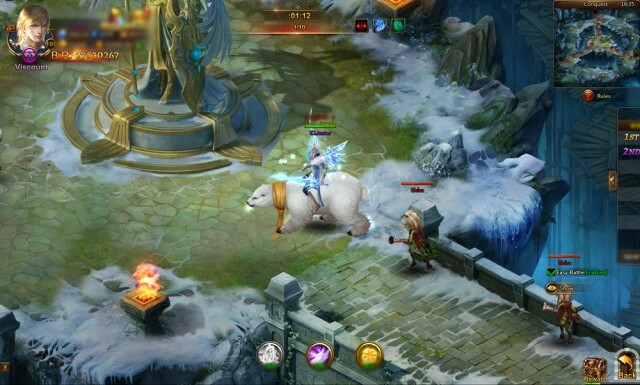 Monsters will appear in the marked areas (as shown in Picture 2) and move towards the Angel Statue along the bridge. Once they reach the Statue, they will deal a fixed amount of damage to it. Players must kill the monsters before they reach the Statue to prevent its destruction. 2. Access: Open Guild panel and click “Gauntlet” in the home tab. 3. Event Time: 8:00PM - 8:18PM every other day. 4. Requirements: Guild level 2 and above. 1. There are 10 waves of monsters that spawn over the course of the Event. In each wave, 8 monsters will spawn from each of the 3 points. 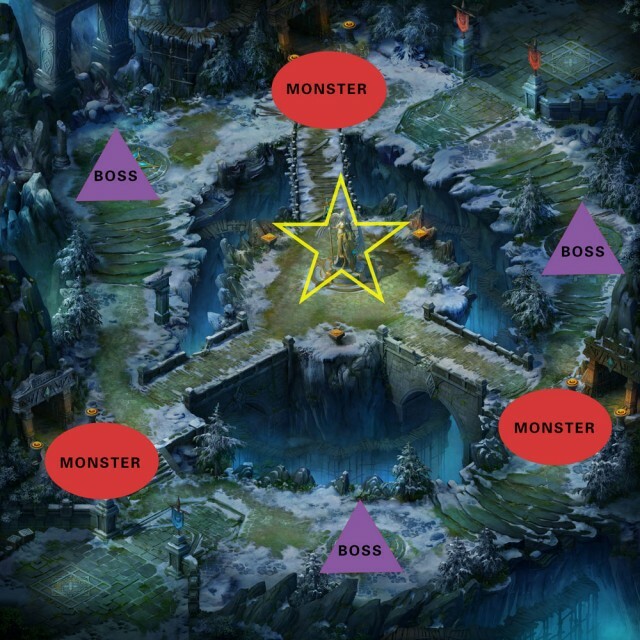 When monsters appear, they will head to the Statue in the center. 2. When players attack a monster, the monster will stop for 3 seconds. If a monster is killed, it will disappear; if it’s not, it will continue moving but not regenerate HP . 3. 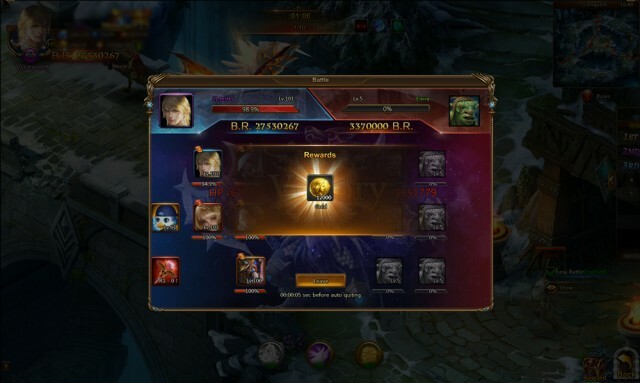 Players will earn Contribution and Gold after killing a monster. The number of Gold increases with each wave and the stage/difficulty level. · Left Boss: When this Boss is alive, all monsters move faster by 50%. · Right Boss: When this Boss is alive, attack CDs of all players are extended by 3 seconds. · Bottom Boss: When this Boss is alive, all monsters will deal an extra 5 damage to the Statue. 2. Bosses do not move from their spawn. 4. The player who deals the killing blow to a Boss will get special rewards. 1. The Angel Statue has 100 HP in total. 2. Once a monster deals damage to the Statue, it will disappear. 3. Once the Statue has 0 HP, the event will be over and the players will be defeated; if the event time runs out while the Statue still has HP left, then the players will be victorious. 4. If the Statue takes no damage during the event, the next stage/difficulty will be unlocked. Next time the event starts, the system will automatically choose the next stage unless the Guild leader manually changes the stage/difficulty before the event begins. 3. Contribution Rankings Rewards: Players’ performance decides their ranks in the Contribution Rankings. 4. Rating Reward: All players get a reward based on how much HP the Statue has left at the end of the event. Now that League of Angels II’s new expansion Angel of Desire has officially released, many exciting things are awaiting for players to discover! Play now for free and try the new Gauntlet defense game mode. It is up to you to protect Sapphire from the clutches of evil!